I am loving the contrast of this soft yet bold look which was inspired by a few of my Loren Hope jewelry pieces. Typically I accessorize an outfit with jewelry after I have pulled the look together but not this time! 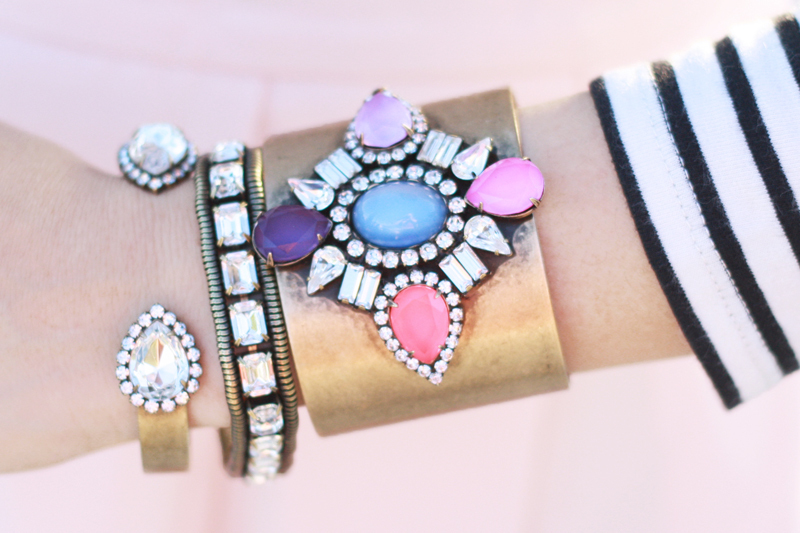 I particularly love the Mia Cuff in Bloom, such a bold and strong design but with fun and feminine colors. I decided to create an outfit with a similar concept in mind, so I mixed some girly pastels with some statement pieces together. 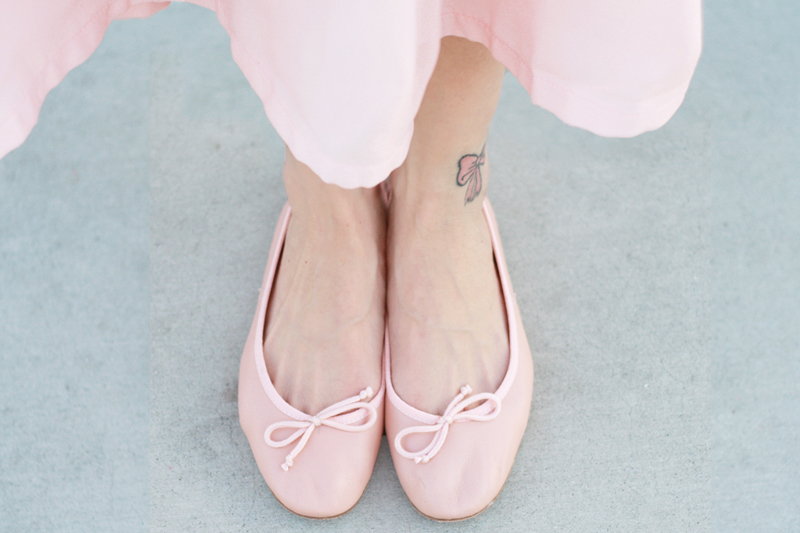 On the soft side, I've got this pink full skirt, lavender bag, and these buttery soft leather flats by Josefinas. 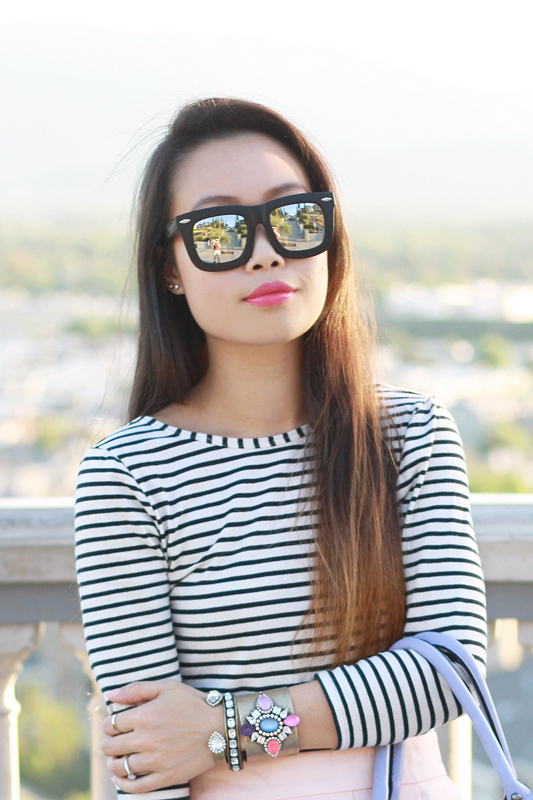 On the bold side, I've got the stripes and these incredible Silvano sunglasses. Which side are you on? Perhaps both? Mia Cuff in Bloom c/o Loren Hope. Large Sarra Cuff in Crystal c/o Loren Hope. Clara Bracelet c/o Loren Hope. 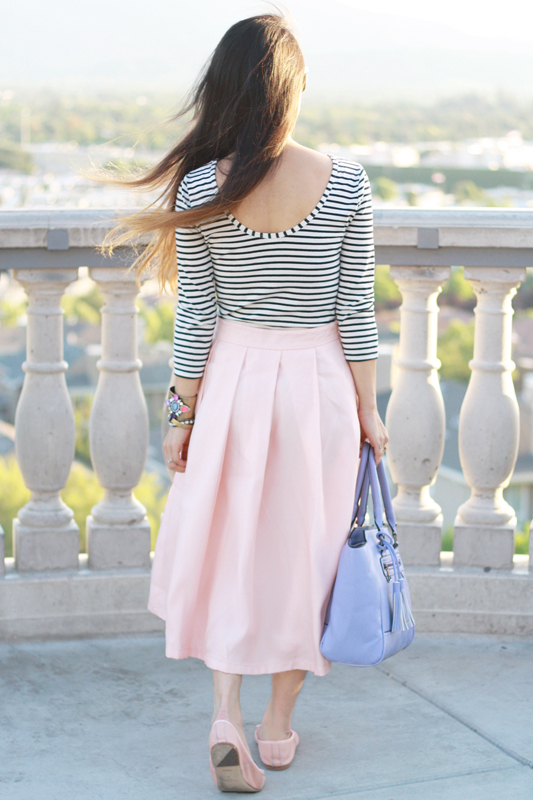 Pink pleated full skirt c/o Chicwish. Matte black/silver mirror sunglasses c/o Silvano. Delicate rose leather flats c/o Josefinas. I love the soft side of this outfit. 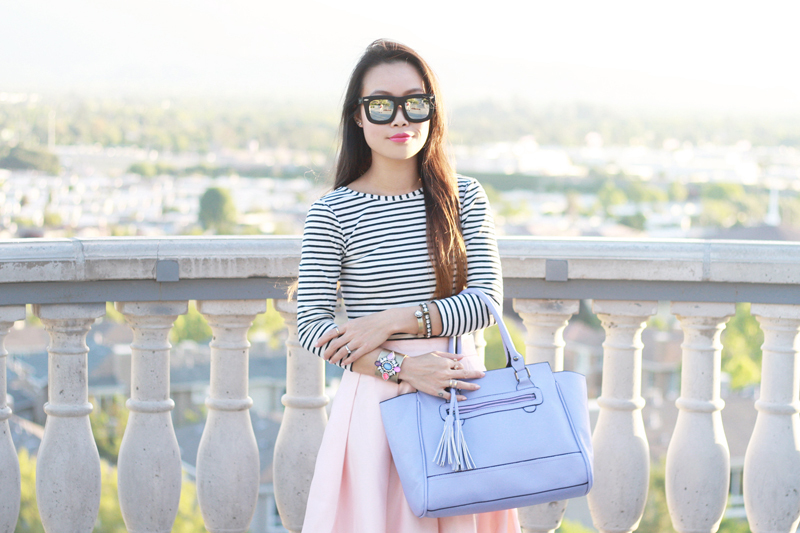 It's really pulled together well and the bold stripes add a spark of fun to it! So cute! love the mix of pastels!